Scandal-ridden Wells Fargo shook up its board of directors on Tuesday and tapped Elizabeth Duke to become the first female chairman of a top U.S. bank. Duke, a former Federal Reserve governor, will replace current Wells Fargo chairman Stephen Sanger on January 1. She will inherit a board that has been rocked by scandals over how Wells Fargo has treated customers and employees. Sanger has been chairman for less than a year, during which time he's struggled to lift the bank out of one of the darkest periods in its 165-year history. Duke said in a statement that she looks forward to making "Wells Fargo a better company today and in the future." She also thanked Sanger for his "tireless work" at a time of "significant challenge for Wells Fargo." A Wells Fargo board spokesperson confirmed Duke will become the first female chairman of a top American bank. Wells Fargo is the No. 2 U.S. bank by assets behind JPMorgan Chase (JPM), according to the Federal Reserve. Duke follows in the footsteps of other women who have held top jobs at smaller banks. KeyCorp (KEY), a top 20 U.S. bank, named Beth Mooney its chairman and CEO in 2010. Another woman, Mary Roebling led the Trenton Trust Company until 1972. 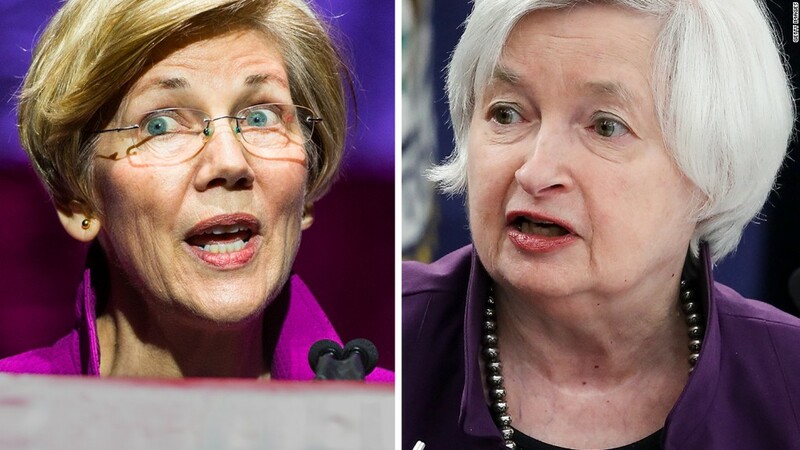 Janet Yellen became the first woman to lead the U.S. Federal Reserve in 2014. 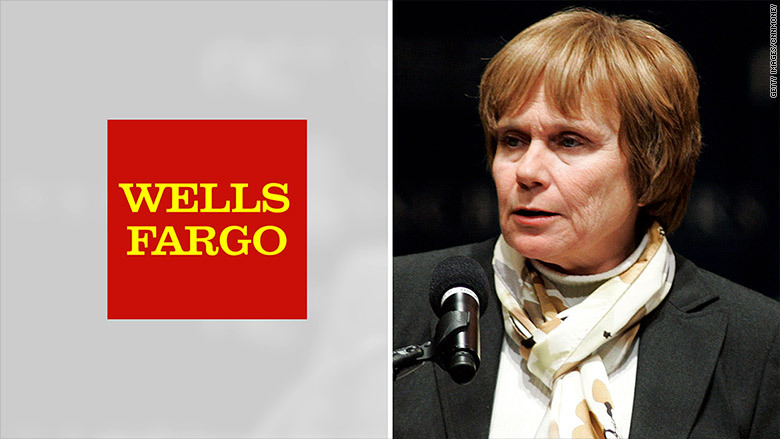 Elizabeth Duke is Wells Fargo's new chairman. Wells Fargo (WFC)'s reputation was badly damaged when the bank admitted last September it created some 2 million potentially fake accounts. More recently, Wells Fargo has apologized for charging as many as 570,000 customers for car insurance they didn't need. It's also been hit with a lawsuit for allegedly ripping off mom-and-pop shops by overcharging them to process credit card fees. Wells Fargo could face more legal trouble related to those allegations. Wells Fargo CEO Tim Sloan said that Duke's "regulatory expertise has been invaluable" and those skills will help the bank in her new role. "She is a superb choice for a troubled institution in need of steady, principled, and pragmatic leadership," said Peter Conti-Brown, an assistant professor at The Wharton School of the University of Pennsylvania. Sanger became Wells Fargo's executive chairman last October when longtime chairman and CEO John Stumpf suddenly retired amid the fake account scandal. Critics argue that Sanger, a Wells Fargo board member since 2003, failed to provide enough oversight over a sales culture that ran amok. Sanger received very tepid support from investors during April's annual shareholder meeting. More recently, Wells Fargo directors have taken steps to fix the bank's image and prevent more scandals. For instance, the board clawed back some $180 million in pay from Stumpf and other senior Wells Fargo executives. The Committee for Better Banks, a group that advocates for workers, called this week's Wells Fargo shake-up "too little, too late" and urged Duke to enact "real institutional reform." Wells Fargo announced additional steps on Tuesday, including adding PricewaterhouseCoopers veteran Juan Pujadas as a new independent director and saying that longtime directors Cynthia Milligan and Susan Swenson will retire at the end of 2017. "These outstanding directors joined the Wells Fargo Board when there were few women on corporate boards. I hope they will be an inspiration to other women as they are to me," Duke said.